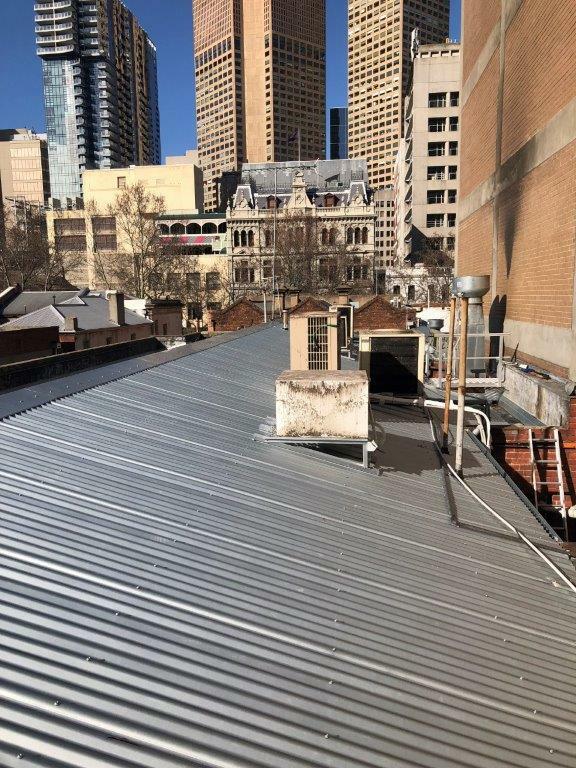 No roof replacement project has proven too difficult for ACR’s roofers in Melbourne; including this occupied, double storey asbestos building in the heart of the CBD. 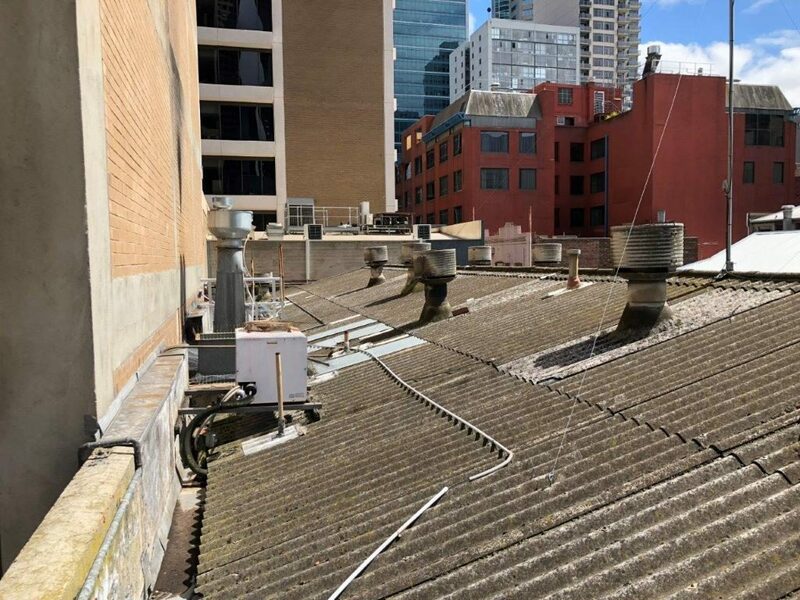 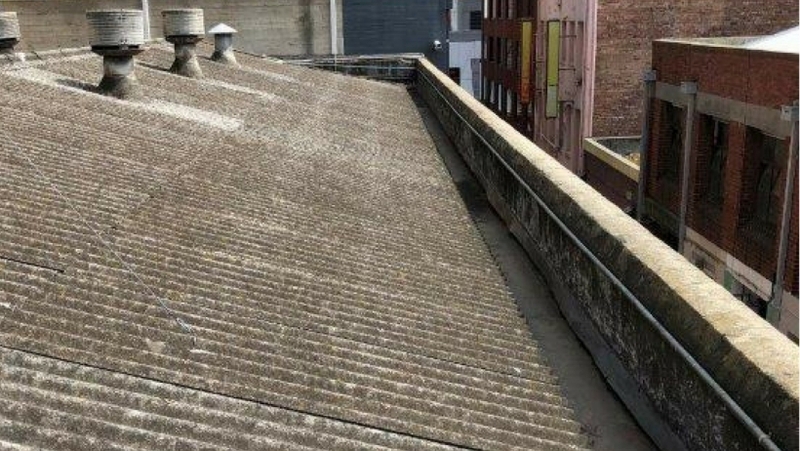 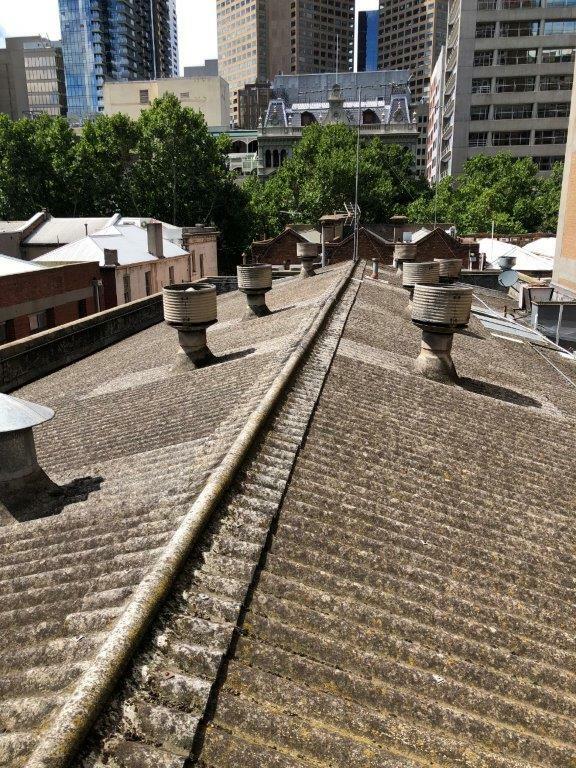 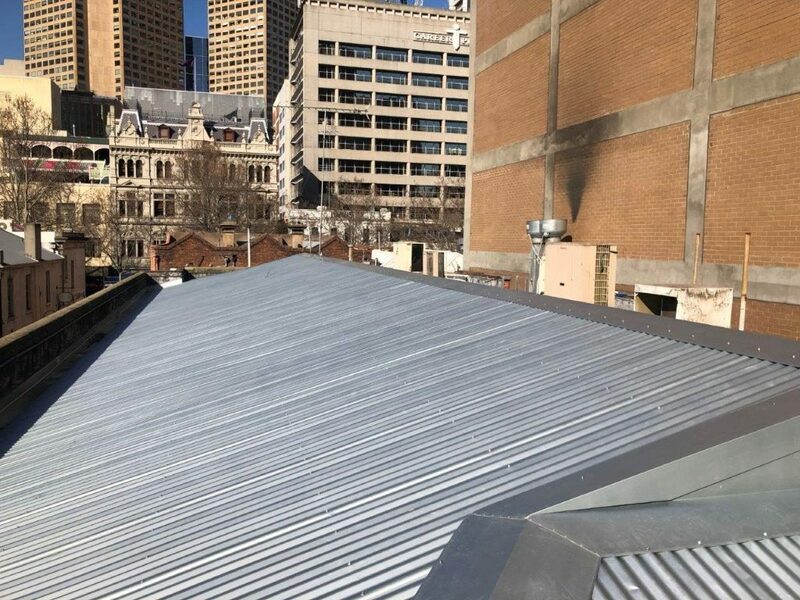 Due to the location of this asbestos roof in Melbourne’s CBD, there were a number of additional requirements and equipment needed to complete the full roof replacement. 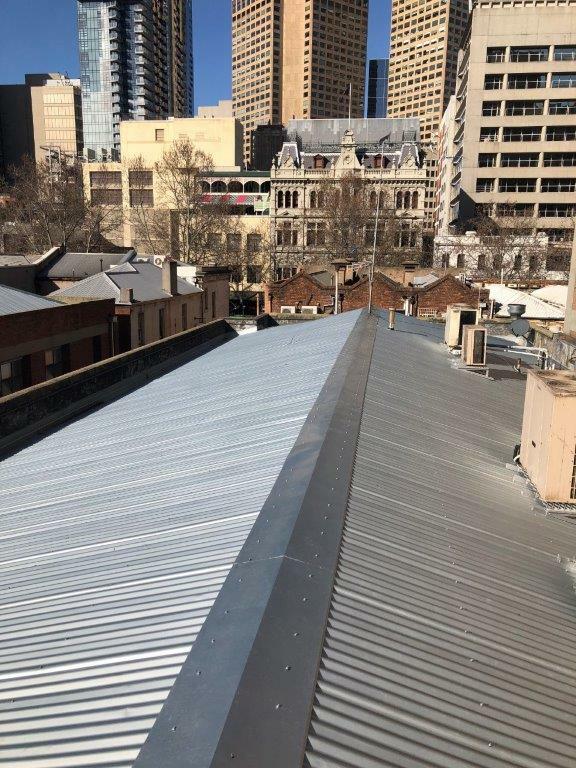 Council permits and traffic management were required to crane up and down the materials in the one way street. 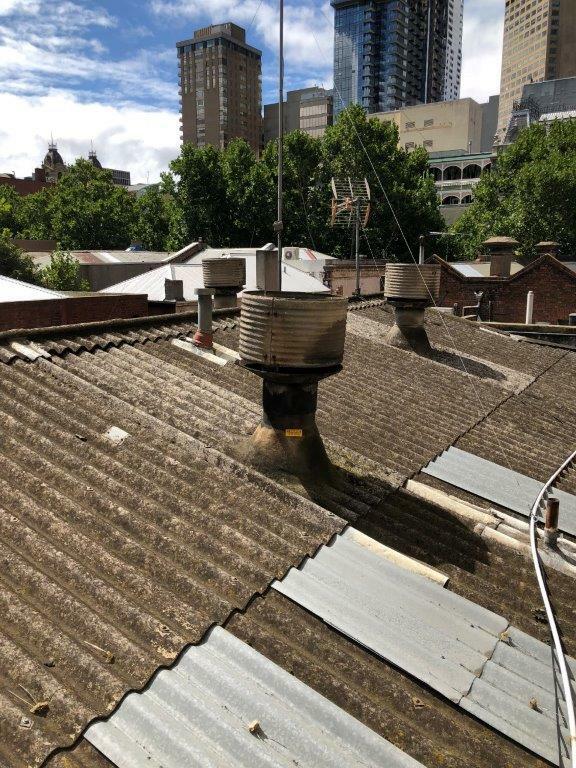 An access tower was constructed to gain external access, which prevented any disruption to the ongoing business on the ground floor. 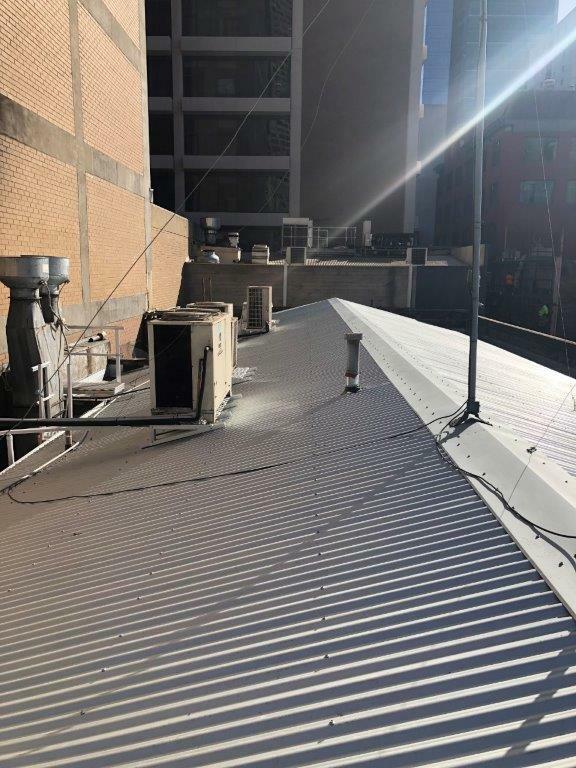 Organising and coordinating the entire AC (heating and cooling) disconnection and reconnection. 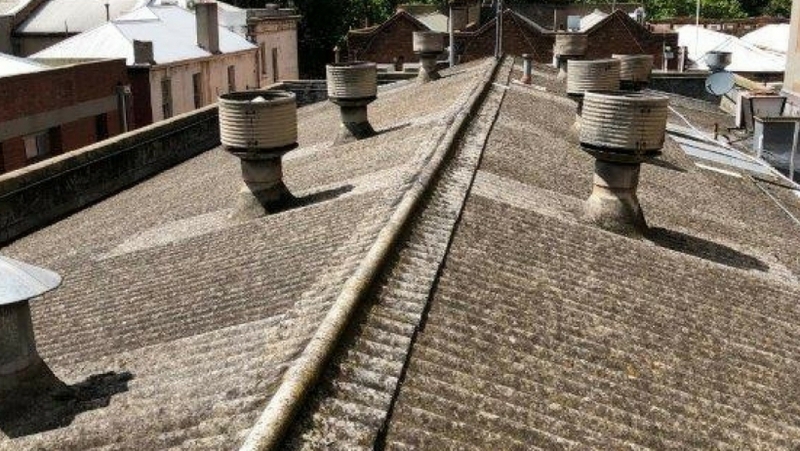 Despite this, our roofers in Melbourne completed the asbestos removal with ease. 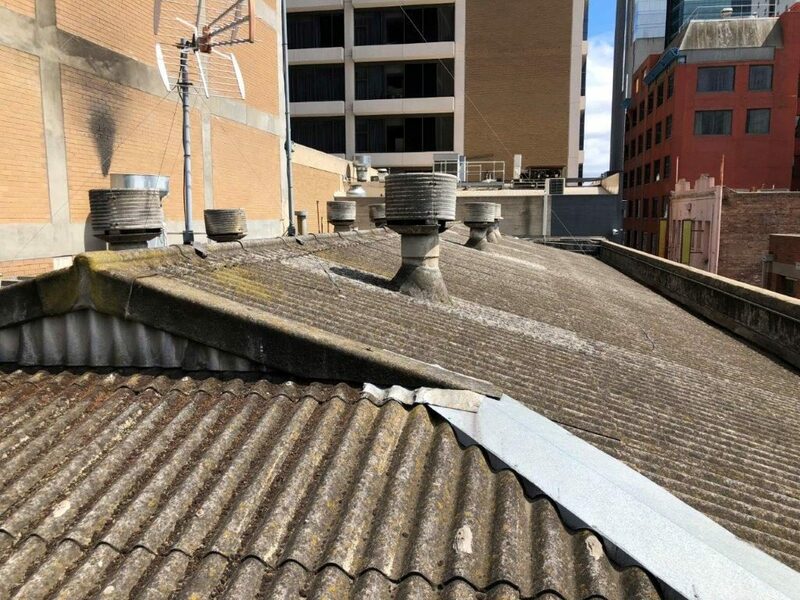 Furthermore, upon first inspection of the asbestos roof, our estimator found two lower metal roof areas also in poor condition. 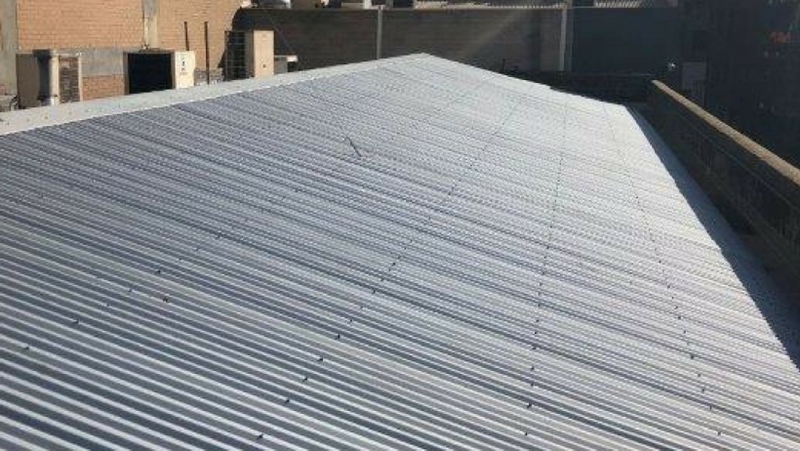 The asbestos roof and metal roofs were removed and replaced with BlueScope Plain Zincalume Corrugated roofing materials. 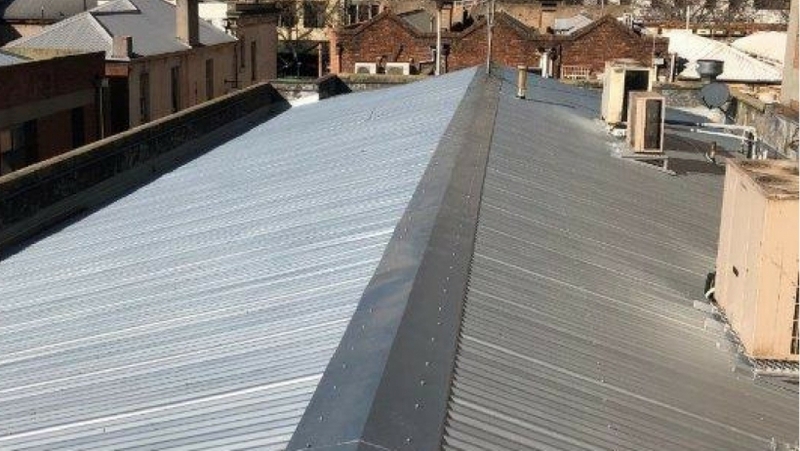 The end result of the asbestos removal, as well as the additional work to the lower metal roofs left both the owner and the tenants of the building satisfied.